One of my favorite parts about Christmas has always been opening my stocking. I have this silly stocking that my great grandmother made when I was a baby that has this big, happy Santa on the front and lots of sequins. It's super childish, but so cute and fun. I'll never be able to give it up. Our stockings are always filled with the best goodies! Everything from snacks, sweet treats, jewelry, kitchen tools and even books sometimes. It's all these little things, that you don't necessarily need but you're psyched when you open up and realize what it is. Putting a good stocking together is an art! So this year, if you sometimes get a little stumped on what to get for stockings like I do, I wanted to give you a few of my favorite products you can add to the mix. 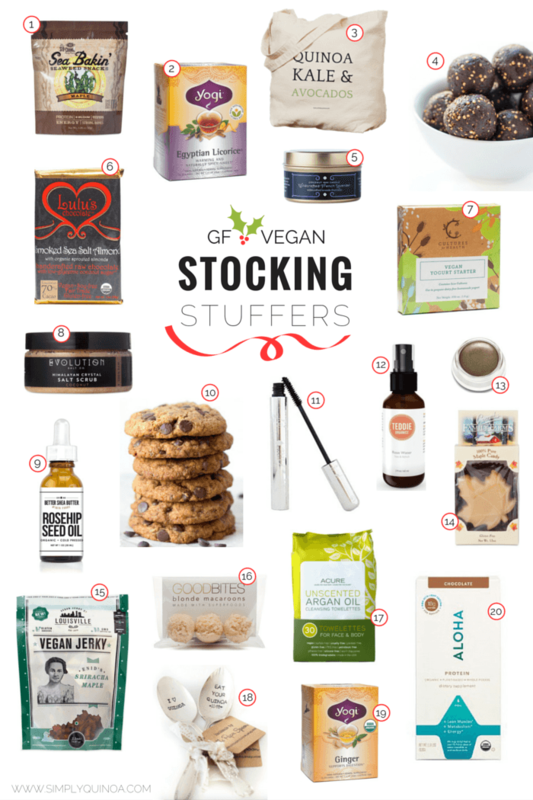 These are my top recommended gluten-free + vegan stocking stuffers! So you ready? Let's do this! I’ve put together 20 of my favorite products that I know you are also going to love. And a lot of them you can find on Thrive Market for significant discounts – yay! We've got everything from chocolate, to salty snacks, makeup, facial products and more. 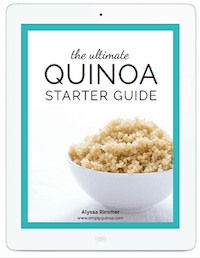 This is the perfect guide for anyone who has someone in their life who is gluten-free or vegan, but also someone that wants toxic-free products for their body. Enjoy! 4) Chocolate + Tahini Energy Bites. Don't you love DIY gifts? These energy bites are so yummy, super easy to make in big batches and don't have to be refrigerated! 10) Vegan Coconut Oil Chocolate Chip Cookies. Who wouldn't love unwrapping freshly baked chocolate chip cookies? These are MY ABSOLUTE FAVORITE RECIPE! And now a gift from me to you! 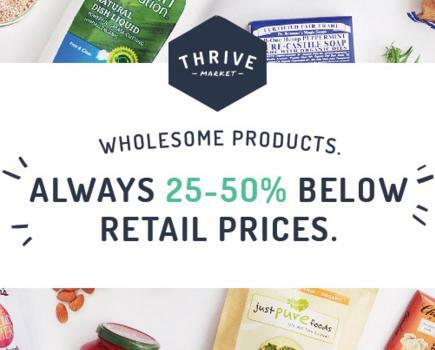 Want to join Thrive Market? Sign up here to get 2 months free PLUS 15% off your first order!